Seasons are changing, and in Fairbanks, we embrace the swift shift into Spring with open arms. More and more light everyday, clear aurora-filled skies at night, melting snow and ice, and daily feelings of excitement when thinking about thawing out for Summer and getting to change our wardrobe -- all things synonymous with moving from late Winter into the months of April and May. And although we&apos;ve let go of winter in many ways, we can&apos;t help but look back with some melancholy. Living in the north, less than 140 miles South of the Arctic Circle, presents such a unique perspective about the Winter season: Persevering through chilly challenges. Experiencing the natural beauty of our community. Embracing winter to its fullest. 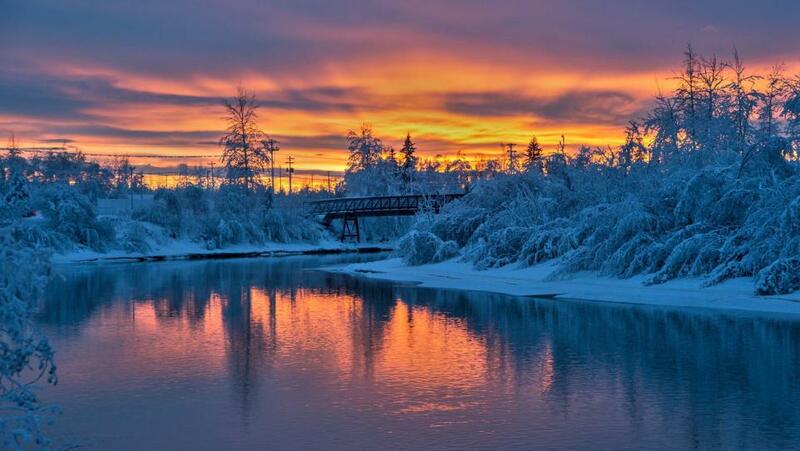 With the help of local and visiting Instagram users, here&apos;s some inspiration as a reminder of just how special a winter in Fairbanks can be. Keep chill in a hot spring. When you’re in Alaska...you must walk with reindeer 歷. We got to love on the reindeer, go on a hike, and learn so much about these animals! #walkingwithreindeer #reindeer #alaska #alaskanadventures #fairbanks #fairbanksalaska #honeymoon #honeymooners #alaskawinter - - - @runningreindeer Thank you for your generosity—sharing your Home and the reindeer with us ❤️ We loved the experience! You can always head downtown. Frolic in all the white stuff. Stop and see the roses. As the days get shorter in Alaska, the suns low trajectory creates several hours of beautiful soft light. And the sunrises are stunning. Summer blooms are almost here! We might be saying goodbye to cooler temps and snow for now, but if you&apos;d like to plan for your ultimate Winter vacation view or request a Winter Guide. It&apos;s never too early to plan for next year! And if you are visiting Fairbanks, use #ExploreFairbanks in your posts so we can follow along. Happy Spring and see you again in October, dear Winter.